This unique pallet truck stop is designed to eliminate freight and trailer door damage due to runaway pallet trucks. 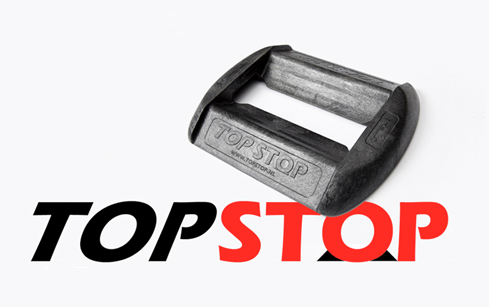 The topstop is lightweight but also engineered and built for tough duty inside a truck or trailer. The pallet truck stop functions well on any surface and will not slip due to the rubber stoppers on the bottom. To secure pallet truck , simply pick up the topstop, using the mold-in handles for positioning and roll steering wheels up the incline and into holding area. Also ideal for placing pallet trucks in a orderly fashion in the warehouse. It started with the composite nails and staples to offer in cases where the ordinary steel staples and nails could cause damage, such as joinery works, the planing and/or cutting of timber and other wood processing industries. 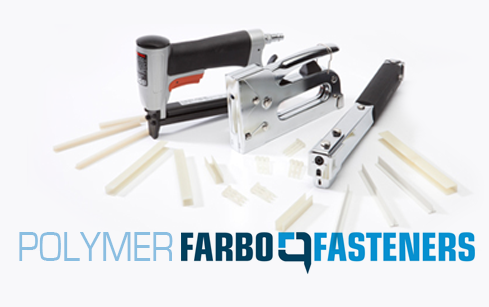 The plastic nails and staples can be sanded and cut without damaging the tool, so your sanding belts, cutting blades do not often run out. The plastic staples and nails are UV resistant, are virtually unaffected by chlorine, acids and solvents such as gasoline and oil. The tensile strength of a nailed timber connection is about twice as large with plastic nails and staples compared to ordinary metal. The plastic nails and staples do not stain and/or stripe. Used in the following industries and various applications: wood packaging, timber frame, fiberglass mats, construction, installation of insulation film, paper, etc., timber labeling, freight labeling, furniture industry, door & window manufacturing, carpentry industry, timber industry, boat building.